Accurate Box continues to reinvest in our equipment and is excited for future growth as an independent and family-owned company. Our team remains as committed as always to the quality and integrity of our products and the needs of our customers. Click below to see the latest additions to Accurate Box! Accurate Box is proud to announce that we are now G7 Master Certified by the Idealliance. G7 is an internationally recognized methodology for calibrating printing presses and proofing systems to ensure color consistency and gray balance. Click here to read more about this accomplishment! In January of 2018, the company’s first robotic system was introduced into the finishing department. The speed and efficiency of this robot was hard to ignore and Accurate Box quickly purchased a second one that was installed in November. The robots are fully automatic machines that are designed to palletize finished bundles of boxes after they exit the folder/gluer machines. The two robots come with automatic slip sheet devices as well as automatic pallet dispensers that are capable of holding multiple stacks of pallets at one time. Both machines were a necessary purchase to make so that Accurate Box could continue to service their customers as efficiently and effectively as possible. 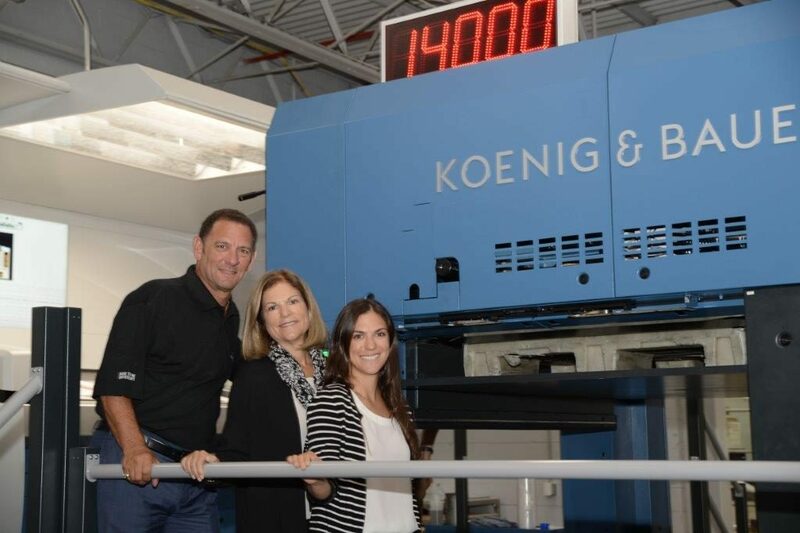 In 2018, Accurate Box installed a brand new Koenig & Bauer Rapida 164 Printing Press. This press adds the most advanced technology the market has to offer to our pressroom. We will now be able to produce special effects options on our boxes which will provide greater product visibility for our customers. The state-of-the-art, in-line color control features on the new press will enable Accurate Box to achieve shorter make-ready times with less waste and ensure consistent color throughout all print runs. Also with this press, we are now G7 Master Facility Colorspace Certified .